How many people do you have working on the site and do you monitor the posts that are submitted? I have 3 other team members working on the site, a developer, designer, and marketer. Posts are reviewed after they are posted by our team, and we are currently looking into building a filter for posts to be ready when traffic on our site builds up. What is your plan for expanding Jigitt to other schools? 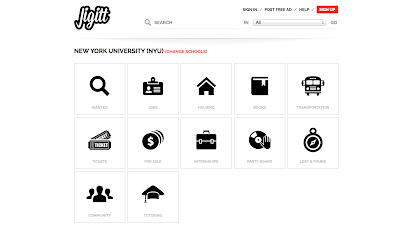 Jigitt recently launched at Baruch college and then will expand to other NYC universities and colleges soon. 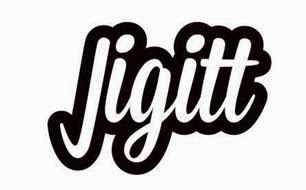 In about two months, Jigitt will expand out of New york, starting with California, my home state where I have many friends and connections who are willing to help spread the word. What are some of the biggest challenges you have been faced with while creating the platform? The biggest challenge we have is getting people to post. Everyone loves searching but not everyone has the time to post an ad so we are looking into ways to make the posting process even faster than it already is. Right now, anyone can create an account and be a part of the community. Do you have plans to allow access only to students in the future? The response has been very positive, with nearly 8,000 visits in less than 3 weeks and over 100 returning visitors every day at least! Have you been involved with the CAS Entrepreneurship Association? Are there any other university resources that you have used or plan on using? I am currently getting involved with some of the entrepreneurship centers on campus, including tech@NYU, and I am going to reach out to CAS Entrepreneurship Association this week. How can our alumni help you to spread the word and grow the site? Alumni can help spread the word by visiting my site, emailing it to their kids, kids friends, and generally spreading the word by mouth. I also have a Kickstarter campaign launching soon for Jigitt as well as a professional video being posted on my campaign to easily explain my website!